Welcome to Village Montessori School! Dr. Montessori’s discoveries about child development and how children learn best has become a proven curriculum for children all over the world. The continuum of her curriculum sets in motion a life- long love of learning. These students possess the tools to be socially and emotionally successful. They consistently score well above national norms on standardized testing and are accepted at their choice of private high schools. Discover how you can give your child the gift of life long learning! 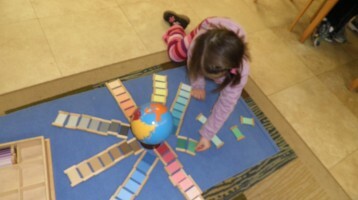 While educational fads come and go, our proven programs are based on Dr. Montessori's scientifically designed method. 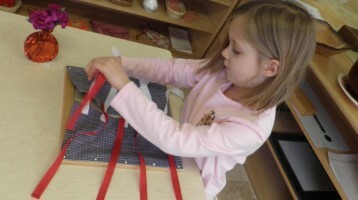 Village Montessori is a recognized AMI school for children ages Toddler - Eighth Grade. 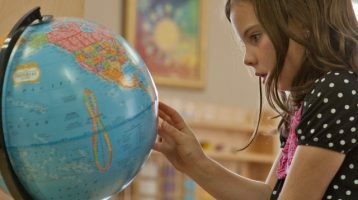 Montessori education is named for the Italian physician, Maria Montessori, who formulated the educational theory and method based on scientific research and keen observation of the child. It is recognized and practiced worldwide as the hallmark in preschool education. Dr. Montessori designed an extensive assortment of concrete multi-sensory materials with which to implement her program. She first employed her program (often referred to as the Montessori Method) in the slums of Rome in 1907, where she won worldwide acclaim for her extraordinary accomplishments. She later developed an extensive training program for teachers which demonstrated the use of her materials and related that use to the child’s development. She stressed a full and deep understanding of the developmental process of the whole child and how development interacts with the environment.